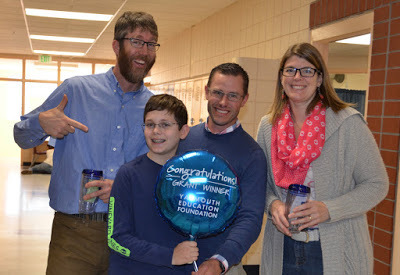 Congratulations to our fall YEF grant recipients! We're excited for our students to experience the new explorations, creative thinking and problem solving that will occur as a result of these grants. We extend our appreciation and gratitude to YEF for continuing to enrich our students' learning by providing these unique opportunities! 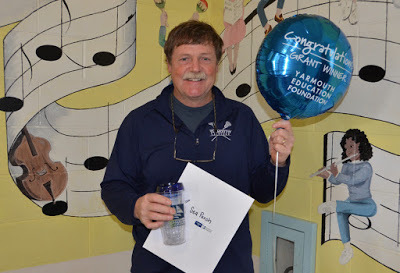 In Bob's grant application for the Sea Perch kits he explained that Sea Perch will enable our students to construct underwater robotics rovers. This expands on the land-based robotic work our students have done in the past. The more complex, underwater environment provides students with additional challenges not required for land-based robotics. Morgan, Tate and Janice shared that Cubelets are pre-programmed robot blocks with nature and a systems model in mind. Each of the 17 types of Cubelets has a special skill. When they’re combined, the robot-building possibilities are endless. The Cubelets grant aligns with our NGSS Standards and Science and Engineering Practices. This project will engage, stretch, and increase the learning experiences of our 7th grade students. Josh appeared in the video presentation for this innovative grant. Let the new experiences begin!